Hi there! I am Marios Bikos. 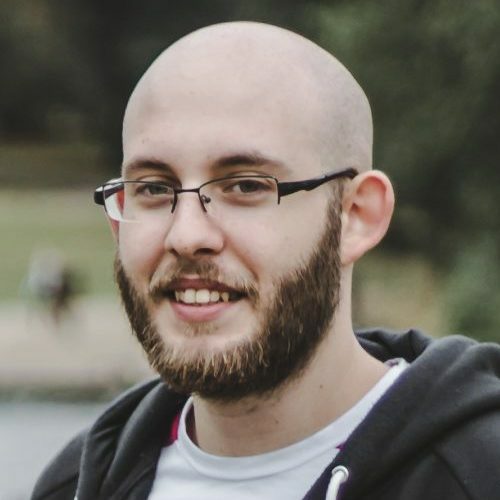 I graduated from University College London with an MSc in Computer Graphics, Vision & Imaging (Distinction) in 2016 and hold a Diploma in Electrical & Computer Engineering from the University of Patras, Greece since 2015. I joined Framestore in 2018 as a VR Developer, having previously worked as a Games Programmer at Studio Gobo & Electric Square developing games for Microsoft Studios and as an AR/VR Research Intern at the Technical University of Munich(TUM) and the Institute of Communications & Computer Systems (NTUA). To date, I have worked with Magic Leap, leading the development for the accompanying AR Experience to Fantastic Beasts: The Crimes of Grindelwald; and with VW Group China Import on the Hyper Reality Test Drive, the world’s first live VR test drive experience. I am always interested in exploring novel 3D user interfaces and interaction techniques, particularly those that exploit the unique capabilities of augmented and virtual reality. Highlights of my work include a VR Simulation to evaluate the morality of decisions a driverless car should inevitably make in moral dilemma situations that won the 1st place at the Polycount-Unity Connect Contest out of 112 projects and an interactive AR Chess Game that allows seamless manipulation of virtual chess pieces using bare hands that was presented in the International Conference on Cyberworlds. I have received several awards for organizing technical events and demonstrating outstanding involvement as an IEEE volunteer, including a 2013 Richard E.Merwin Student Scholarship, a 2012 Regional Exemplary Student Branch Award and a 2012 Outstanding Chapter Award. 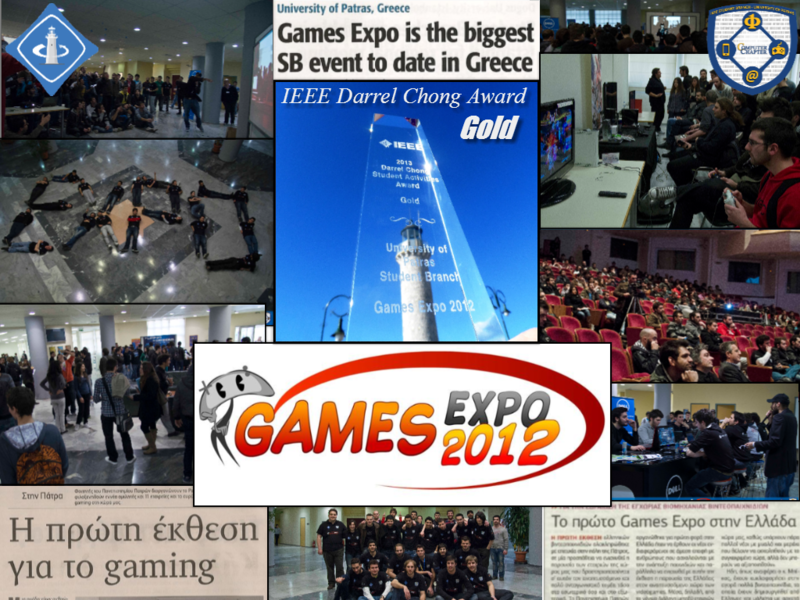 I was the Head Organiser of the 1st Games Exhibition in Greece (Games Expo 2012), in an effort to bring together students and gaming companies, which was awarded with the 2013 Gold Darrel Chong Student Activity Award by IEEE. I invite you to take a look around my website and take a look at my professional background. You can also find information on the cool projects that I’ve been involved in and browse the resulting publications. I love networking. If you would like to connect and converse, please feel free to contact me. 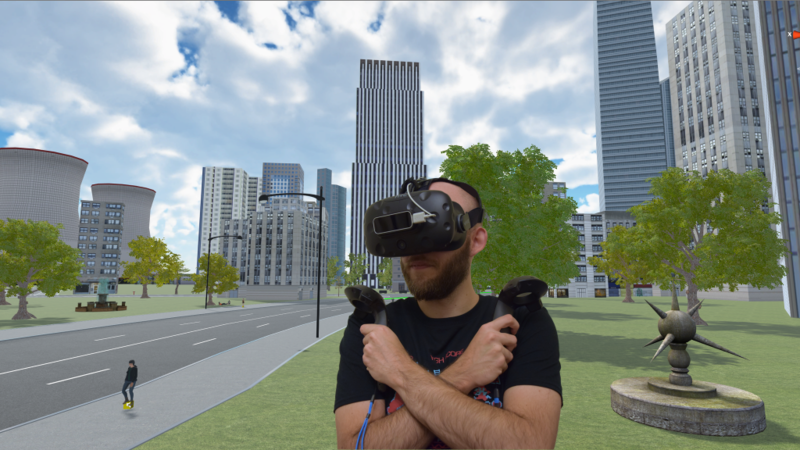 My Unity Project ``VR for the Study of Moral Dilemmas Involving Driverless Cars`` was the Grand Prize winner of the Unity Connect contest out of 112 projects. I received an HTC Vive and toolkits at an estimated total Prize Value of US$2899.00. My Augmented Reality App Idea was selected to be one of 10 out of hundreds to receive Meta Glasses and an invitation to a Meta Pioneers Workshop in Berlin.During this workshop, I became familiar with the Meta SDK and built an AR Application using Meta Glasses. 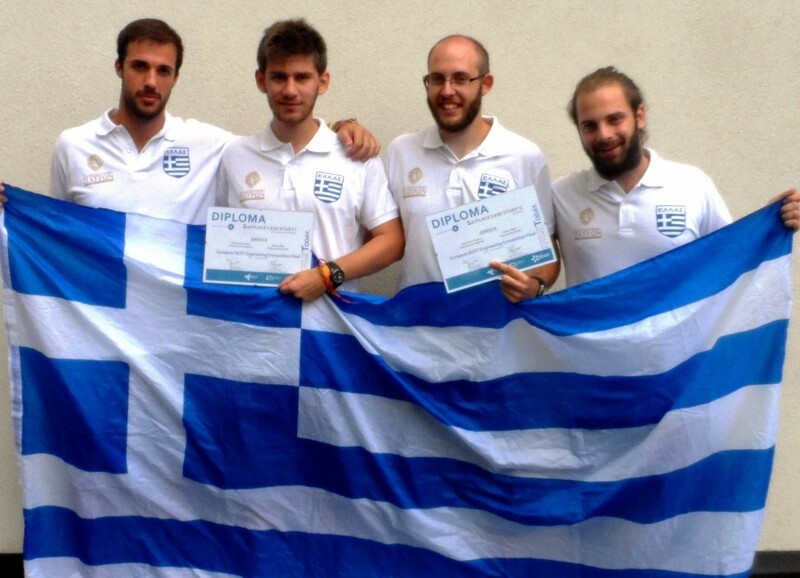 European BEST Engineering Competition (EBEC) is the largest real-time based engineering competition, which challenges competitors, who are winners from competitions all over Europe, by presenting them with engineering problems that can be addressed in many ways. The Global Game Jam (GGJ) is the world's largest game jam event taking place around the world at physical locations. Think of it as a hackathon focused on game development. 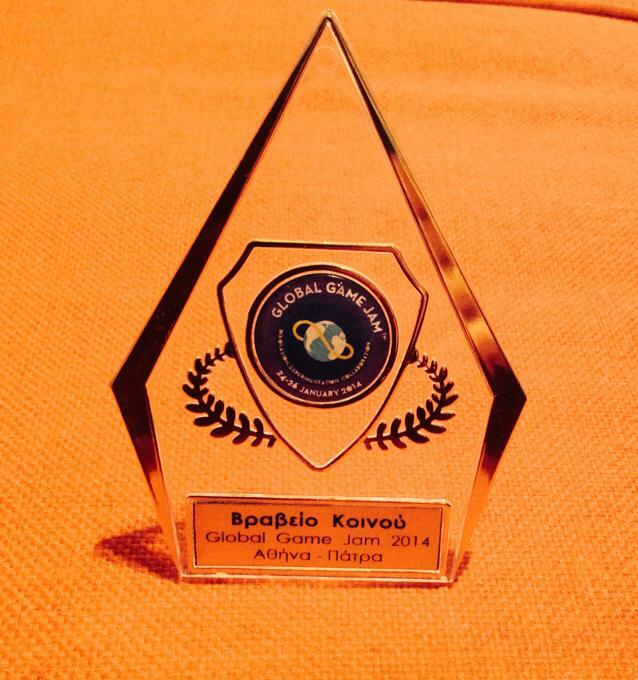 ►Placed 1st/15 teams in GGJ Athens & Patras Voting Contest. 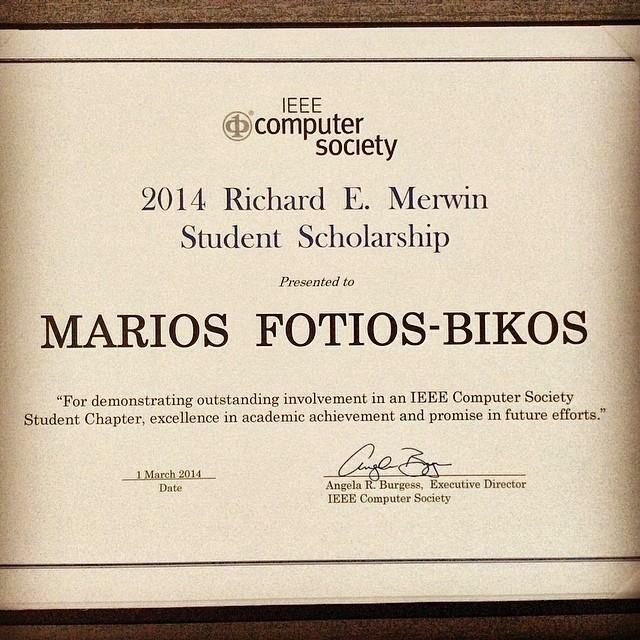 This scholarship was created in honor of the late Richard E. Merwin, past president of the IEEE Computer Society, to recognize and reward student leadership. This award was created to change the mindset of IEEE student groups from being number-driven to becoming value-driven and to acknowledge exemplary student activities around the world. The goal is to improve the quality of activities and to foster knowledge sharing among students. The purpose of this award is to provide public recognition of exemplary IEEE Student Branch operations.This award was given because the student branch conformed to IEEE Bylaws, had an active programme and supported IEEE goals. Recognition of the excellent, high-quality work of our Computer Society Student Chapter during 2012 in providing the best overall set of programs and activities for local members and prospective computing/IT student members. 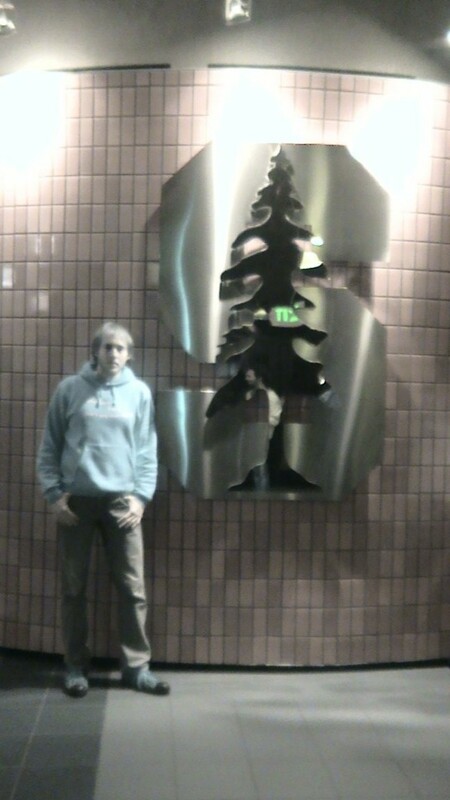 Selected by the Hellenic Student Association of Stanford and sponsored by Corallia to visit Stanford and Berkeley Universities and famous Silicon Valley companies in order to get inspired and improve student life back in Greece.